Tibetan medicine emphasizes and understanding of the roots of suffering, acupuncture, meditation, and dietary therapy to rebalance the "humors"
What is a Traditional Medical System? I use this term "traditional" in preference to "alternative" or "complementary" as these latter two are terms that can mean anything at all, depending on the speaker, and often such classification reflects an economic, cultural, or historical development, rather than a scientifically or clinically justified division of medical practices. These terms may also be used to refer to subdivisions of the Western medical lineage such as homeopathy and manipulative therapy, which are more accurately seen as schools of theory and technique as opposed to a fully developed system of traditional medicine. The concept of "alternative" medicine is also illogical. One might draw the parallel of speaking of light, and "alternative" light rather than understanding that the issue is defining the difference between light and the absence of light. So, instead of integrative or complementary medicine, the appropriate distinction is one of medicine and non-medicine. Aside from being logically unassailable, such a perspective allows us to focus on the factors that define medical practice, free of the cultural bias that normally corrupts such discussions. Our own Western heritage, after all, has its roots in Arabic, Greek, and Persian practices, in addition to those that came from European influence. Aside from a few perfunctory references to Hippocrates and Galen, the origins of Western medicine are rarely taught systematically in medical schools in the U.S., so that most physicians are not aware of these origins at all. There is even less taught about Eastern medical systems and their history. For example, the Chinese utilized "vaccination" long before the Western European tradition, yet this is not included in the history taught to Western medical students. Most physicians in the U.S. graduate without any knowledge of the vast contributions that world medicines can add to their understanding and practice. By focusing on the correct distinction, that of "medicine" and "non-medicine", would-be students are freer to investigate techniques and philosophies that are supportive of medical practice, without being drawn into a divisive argument over how and why certain influences are accepted, and others rejected, without careful consideration. Therefore, there is only one medicine, though it may take different forms at different times, and in the present age the teaching of the various facets of medicine has to be sought in many different places. Presently, no medical school in the World offers a comprehensive education in all aspects of medicine. Medicine: The science, art, and craft of understanding suffering, its causes, and its remedies. Traditional medical system: An internally consistent and transmissible body of knowledge regarding the normal function of the [human] organism, and the systematic study of the causes and techniques for relieving physical, mental, and spiritual suffering and/or disease. Traditional systems of medicine include a patient-based diagnostic system, a classification of disease processes and entities, and a compendium of treatments or interventions which address these disorders through methods of environmental control (clothing, climate, sanitation), diet, physical activity, mental training, and the more vigorous interventions of medicinals and surgery. The study of such knowledge is generally limited to the members of a group who have undergone specialized training and/or initiations and who are provided a special status or role as acknowledged healers or physicians by the established culture. Examples might be the indigenous medical systems of Greece, Persia, Polynesia, China, Pre-13thcentury India, and Tibet. Many of these systems are in a precarious state in the modern world. Traditional medicines can thus be distinguished from folk medicine, which is practiced at all levels of a society in a non professional manner, from divinely inspired healing by a religious figure calling on supernatural forces, and from the many lay schools of practice which have developed in this country as a result of political and economic factors. Due to factors of limited training, cultural bias, and political and economic forces, most practitioners have limited their practice to subsets of the traditional or modern system. It is not unusual to find an acupuncturist, for example, who does not use moxa or cupping or massage, even though these are traditionally part of the physical therapy of Chinese traditional medicine. Very few herbalists are acupuncturists, and so on. Of course, this has become true in the West also. When I first moved to my present building in 1985, it was owned by a general practitioner, John Smith. He had been there since soon after WWII. At that time, GP's delivered babies, did routine surgeries and also managed what we now think of as internal medicine, obstetrics and gynecology, pediatrics, family practice, and gerontology, with a fair amount of psychiatry and counseling, also. Nowadays, it would be impossible to find someone who has such a broad depth of practice. October 2, 1998 9-11:30 a.m.
Dr. Grotte will introduce the basic concepts of the Buddhist system of medicine as it developed in Tibet, with a special emphasis on increasing the "Wisdom" and spiritual capability of the student and physician. He will discuss the origins and historical basis for these practices, and will suggest ways in which the anchoring principles of this ancient system might be applicable to reduce the difficulties and stresses of modern medical practice. A brief historical overview of Tibetan medical practice. The relevance of Tibetan medicine for the 21st century physician. How Tibetan physicians view medicine as a yogic path. The importance of expanding our medical training to include religious and non-religious spirituality. The major obstacles to happiness and capability of physicians. Simple daily meditations to help anchor the practitioner. L.B. 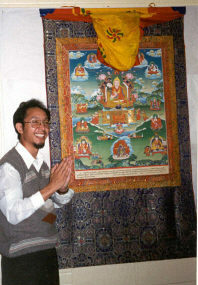 Grotte, M.D., has had the unique experience of receiving detailed teachings on the spiritual aspects of Tibetan Medicine from several lamas, primarily Lama Yeshe Dorje Rinpoche, a Ngag-pa (yogi) who was well-known as the official weather controller for the government of Tibet in exile. Remarkably, he has also received training in specific aspects of Tibetan Medicine by two of the senior personal physicians of the 14th Dalai Lama. For almost 25 years, Dr. Grotte has sought to understand the techniques of formulating effective plant derived treatments by studying the established lineages which have developed historically in the Far East and India. He has been fortunate to have had an opportunity to learn compounding techniques from the noted Sufi physician, Shakyh Hakim Abu Abdullah Ghulam Moinuddin al-Chishtiyyah. Beginning in 1985, he offered the first of a series of electives in Oriental medicine at Case Western Reserve School of Medicine, the first to be offered on a regular basis at any American medical school. Through the study of traditional medical systems, he has observed that many of the traditional skills of acupuncture, massage, moxibustion, and herbal compounding can be applied successfully by physicians from many backgrounds. In addition, the benefits from understanding traditional techniques of mental discipline are also available to Western students and physicians. In February of 1997, the Tibetan Medical and Astrological Institute of Dharamsala, India, sponsored Dr. Tenzin Choedrak, the senior personal physician to the Dalai Lama, on a first-ever tour of the United States. He traveled with two other senior Tibetan physicians, a medical astrologer, and an exhibition of rare and unusual Tibetan medical art, medicinals, and surgical and astronomical instruments. Dr. Grotte was fortunately able to host Dr. Choedrak and his entourage for 10 days in Cleveland, where a series of lectures were presented to professional groups and the public, and the medical paintings, medicines, and surgical devices were displayed for the first time in the Western Hemisphere. Dr. Grotte began by invoking the mental state conducive to the practice of medicine by reciting a traditional Tibetan mantra for physicians. These sounds are used to help the physician focus on the medical path and overcoming the ordinary state of consciousness. Following this, he told of the mythical origins of Tibetan medicine; It is said that at one time there was no disease in the world, and light and the elements sustained people directly. One day, a man walking along noticed a small piece of pitch or bitumen on the ground. A sudden urge to place it in his mouth and swallow it came upon him. Soon, he felt pain in his stomach and wailed to his companions to help him, but they did not know what to do. Fortunately, Avalokitesvara, a bodhisattva (one is dedicated to the path of relieving suffering), heard his lamentations and, immediately filled with compassion (the wish to relieve suffering), meditated in order to understand what to do. As a result, the Buddha Amitaba then appeared and revealed the knowledge of medicine. Avalokitesvara then knew to boil some water and give it to the man, who was relieved. Thus, the first disease was a stomachache and the first remedy was boiled water. Dr. Grotte used this story to illustrate several points: First, the reason that medicine came into existence in the first place was compassion. The knowledge of medicine did not come first, but only as a result of the strong compassionate motivation of Avalokitesvara. So compassion is of paramount importance in the Tibetan tradition. Secondly, the Buddha Amitaba did not create or invent medicine, but he revealed medicine. By this, it is implied that medical knowledge is available on many levels, and medical insight can result from experiment, from study, from teaching, and from insight. Knowledge of medicine can never be complete until the physician has mastered all of these methods. Dr. Grotte then outlined some basic principles. In the Tibetan Buddhist tradition, the role of the physician is to develop a clear motivation and intention to relieve suffering. He stressed that this does not necessarily limit the practice of medicine onlyto physicians. Nursing and other allied health personnel practice medicine in the same way as the physician as long as they maintain correct motivation and intention. Those who do not practice with this motivation and intention are missing the central support for medical effect, regardless of their titles or degrees. So, the cook who, with medicinal intent, prepares healthful food and relieves the suffering of hunger, or the bricklayer who conscientiously builds a shelter and relieves the suffering of being exposed to the elements,are also practicing with the same compassionate intent as is found in nursing or medical care. Grotte said that the Tibetan physicians focus by first identifying and eliminating distractions to medical intent. Issues which have gained central importance in Western practice such as economics, politics, etc., are considered to be external distractions and have no place in the Oriental model. Internal distractions such as anger, greed, jealousy, pride, ignorance, and complacency are controlled through meditative practice. Since these are acquired bad habits, Grotte pointed out that they can be unlearned and ultimately eliminated. In the Tibetan medical tradition, the practitioner has only two major concerns: to attempt to relieve suffering by skillful actions of the body, speech, and mind; and to avoid creating suffering by any of one's actions. The first step to this discipline is learning to control the mind through meditative discipline. Once this is accomplished, control of the speech and body will naturally develop. In the West, our main focus is to train the body, very rarely the speech, and there is almost no training in controlling the mind. The actual study of medicine is summarized in two major areas. 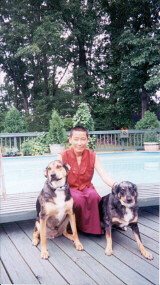 One, parallel to our training in the West, consists of what the Tibetans call "Skillful Means": all the technical aspects of making a diagnosis free of error, as well as mastering the basis of preventative medicine, the application of plant derived formulas, dietary and behavioral changes, surgical techniques and providing spiritual support. The second area of study is the development of "Wisdom", meaning the development of clear and focused mental habits which lead to a reduction of impediments and distractions to proper motivation as well as strengthening beneficial attributes such as compassion, patience, generosity, ethics, perseverance, and concentration. Combining the application of skillful means and that of wisdom practice together allow for the best spiritual development of the physician, and the best care for the patient. Dr. Grotte pointed out that, in the West, our education system has focused on the development of skillful means, but with little focus on increasing the wisdom and compassion of the practitioner. It is ironic, he noted, that the more sophisticated our skills have become, the more dependent we are to apply these with compassion and wisdom. The Tibetan tradition is only moderately advanced in the area of skillful means, but has placed extraordinary importance on simple techniques for increasing wisdom. 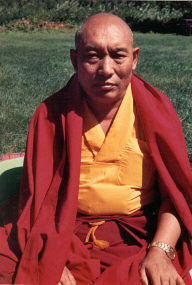 He suggested that this might ultimately prove to be the most interesting aspect of the Tibetan system. Most physicians will not spend the decades necessary to master the skills of acupuncture, moxibustion, or drug formulation, but can reap the benefits of meditative concentration immediately. How do Tibetan physicians accomplish this? Dr. Grotte gave the example of Tibetan medical students gradually paring away distractions and impurities of their actions of body and speech and mind like a sculptor who carves an elephant statue: removing all the parts that don'tlook like an elephant. Students are first taught to recognize the sources of distraction, and are then guided in meditative techniques to gradually diminish their influence. This process has two benefits: First, through specific mental practices developed over centuries, emotional sources of suffering such as fear, anger, ignorance, pride, jealousy, greed, envy and complacency are recognized, and their root causes investigated. The student learns the delusional basis for these types of suffering, both in students, and in patients. In addition, since the physical sources of suffering are also well studied by Tibetan students, both they and their teachers understand that pain, fatigue, hunger, and so on are inimical to medical thinking. Unlike the Western medical student and resident physician, Tibetan medical students are expected to pay proper attention to rest, exercise, diet and other restorative exercises. As a result of this rigorous study of the sources of suffering, traditional doctors learn to help patients with their own unhealthy habits. Because understanding the nature of various types of suffering is so central to Tibetan medical practice, Dr. Grotte reviewed three different traditional systems of characterizing suffering that were used to help the student begin to understand the different manifestations of suffering that he or she will have to address with remedies. The supreme practice for human beings is to practice humility, which Dr. Grotte indicated could be accomplished by viewing all patients as teachers. If physicians to lose sight of the fact that patients are the final and supreme source for their medical knowledge it will also interfere with the ability to learn from teachers and others engaged in the practice of medicine. Dr. Grotte then spoke about the theory of cause and effect. He reviewed the ten negative actions of body, speech and mind that lead to negative karma, and the fivefold requirements for full karmic effect of these actions. He noted that the determining issue was the intention and motivation of the physician. Finally, Dr. Grotte reinforced a point that he made early in the program. "There is no valid division between traditional and alternative medicine. There is only medicine and not-medicine. By focusing so much on the tool that is used, we can miss sight of what is more important: the wisdom and compassion of the individual who applies the tool." Clifford, Terry. Tibetan Buddhist Medicine and Psychiatry; The Diamond Healing, Samuel Weiser York Beach, Maine 1984. This text is an excellent introduction to Tibetan medicine for the psychiatrist and generalist alike. Dhonden, Yeshe. Health Through Balance,Snow Lion Publications Ithaca, N.Y.1978. Dr. Dhonden was one of the first practitioners to see the value of preserving Tibetan medicine by introducing its concepts to Western physicians. Finckh, Elisabeth. 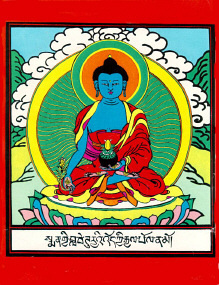 Foundations of Tibetan Medicine Volumes I and II English Translation. Watkins Publishing Dulverton, Somerset. 1978. An invaluable overview of the rGyu-Zhi, the four Medical Tantras. Khankar, Lobsang Dolma. Lectures on Tibetan Medicine Library of Tibetan Works and Archives Dharamsala, HP, India. 1986. Essays by a physician member of a famous medical lineage. Library of Tibetan Works and Archives So RigSeries 1-14. A Publication for the Study of Tibetan Medicine. Dharamsala, HP, India. 1980 to present. These are essays and articles on a variety of subjects by various scholars with special emphasis on the historical and cultural aspects of Tibetan medicine. Cozort, Daniel. Highest Yoga Tantra Snow Lion Publications Ithaca, New York 1986. An overview of the systems of highest yoga, including atiyoga. 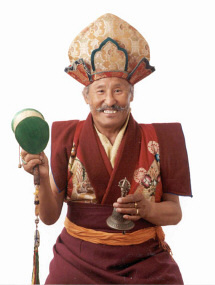 Gyaltsen, Khempo Könchog. In Search of the Stainless AmbrosiaSnow Lion Publications Ithaca, New York, 1988. A clear exposition of the fundamental practices reviewed in my elective on Tibetan medicine, as well as several other practices in the Kagyu lineage.